Here is a nice example of some recent aerial cinematography Los Angeles work we’ve shot which is now available as 4K aerial stock footage. It is LAX or Los Angeles International Airport at night. This aerial filming Los Angeles work was shot from a real helicopter, not a drone, with a 4K ultra high definition (UHD) camera system and a gimbal to stabilize the captured aerial footage. It required careful coordination with the FAA air traffic control officials at Los Angeles International Airport in order to obtain permission to fly adjacent to LAX. Fortunately, as pilots ourselves we have the expertise and contacts to make arrangements like this and we can do the same for you and your aerial cinematography requirements in Los Angeles, Hollywood, or anywhere in the world. 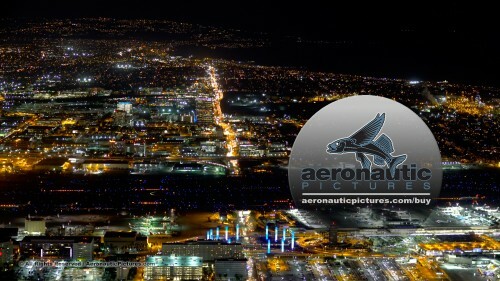 If you look carefully this aerial footage actually includes visible stars in the night sky at the beginning of the sequence before the camera smoothly tilts down to reveal the bustling Los Angeles airport, colorful lights and high tech aircraft.